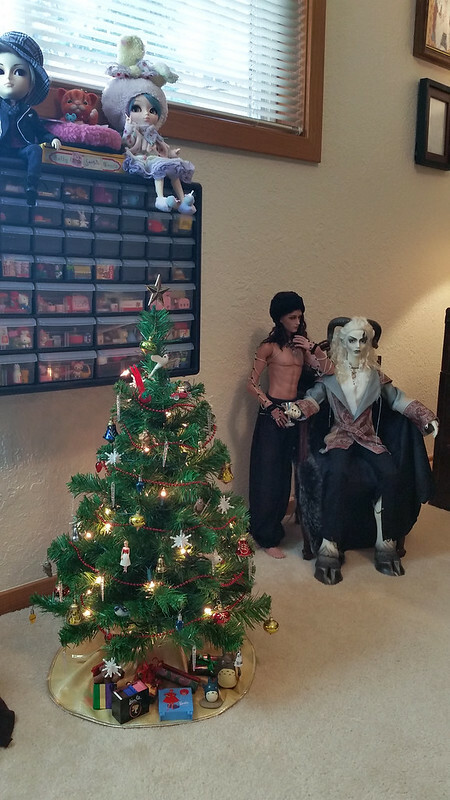 Last year, almost everything in our house was still in moving boxes at Christmas time. 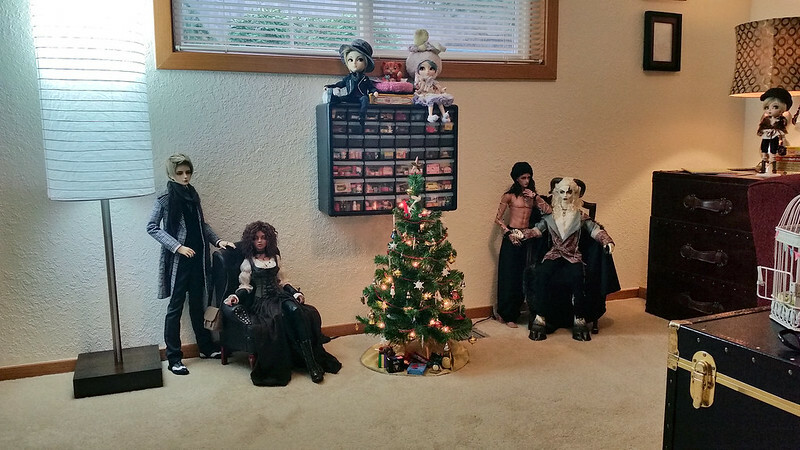 So, it's been fun to decorate the house this year—even the dollroom got decorated. Anyway, here's some quick pics I took with my cellphone. 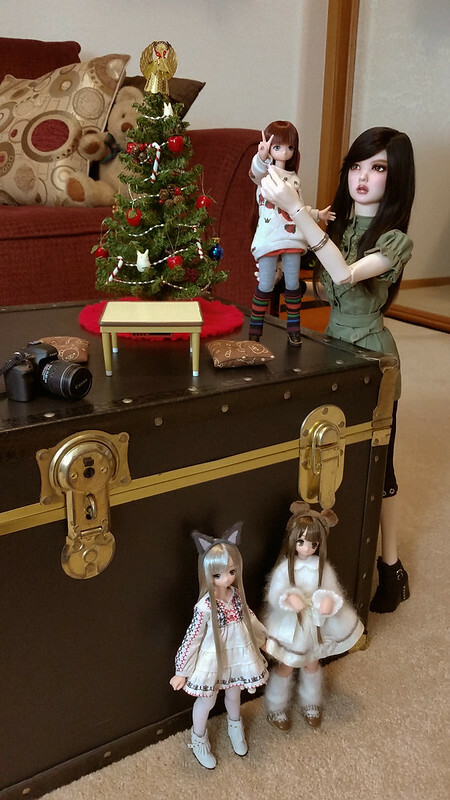 My American Girl tree. 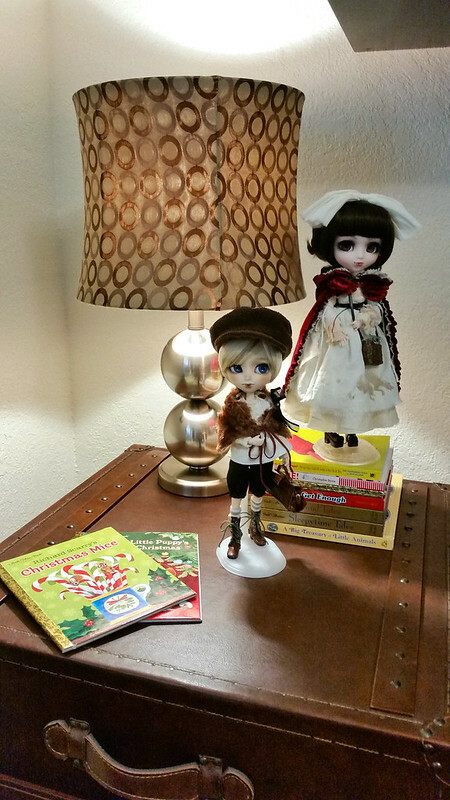 It's the perfect size for the dollroom. 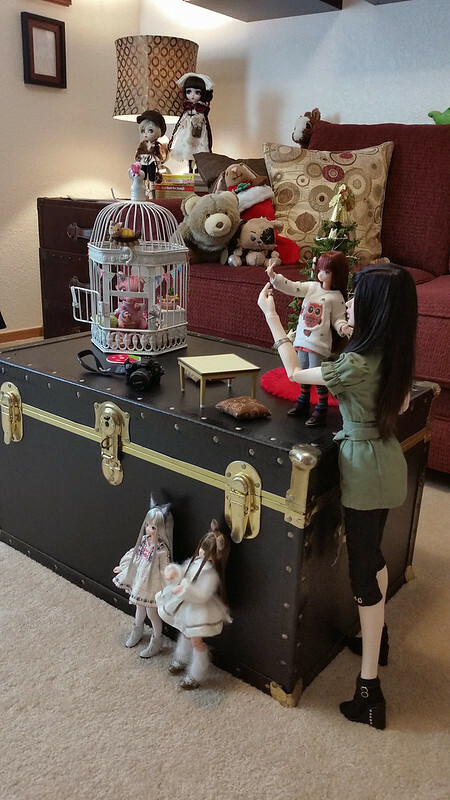 Emily is setting her dolls up for a photo-shoot. 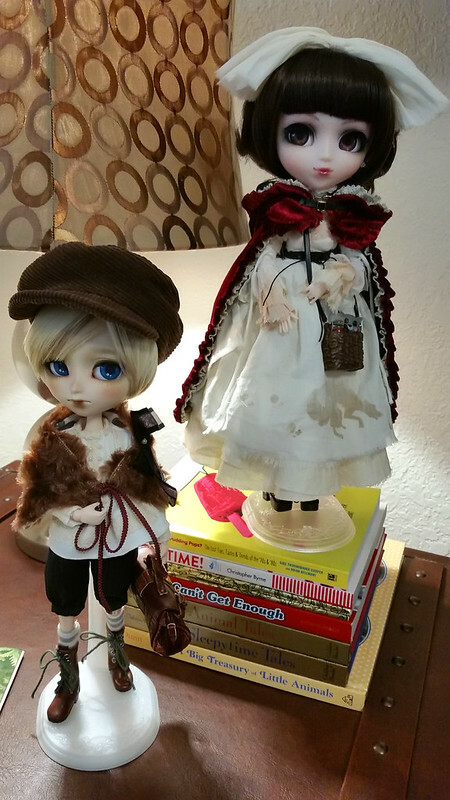 I got a new doll: Isul Glen (he's the brother of my Pullip Bloody Red Hood). A bit closer view of Isul Glen, whom I've named "Oliver". I'll take better pictures of him soon.